Tonga Capital Suffers Widespread Damage From Cyclone Gita - Integration Through Media ....! 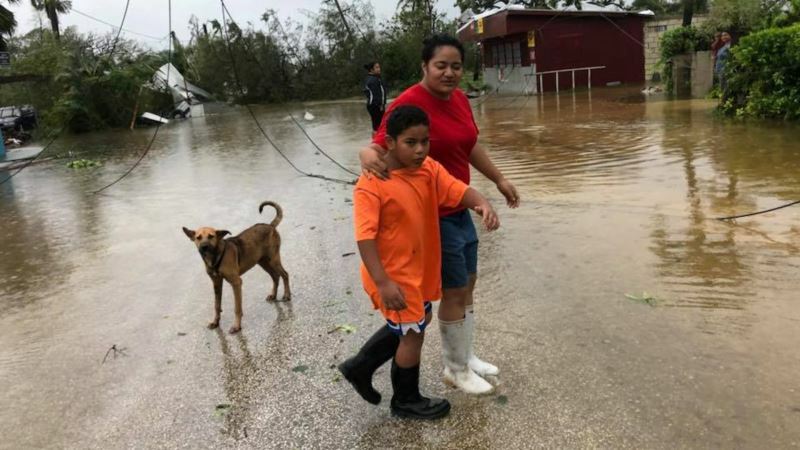 (VOA): Emergency services in Tonga were working to reopen roads on Tuesday and assess what assistance they may need after Cyclone Gita tore across the Pacific island nation in the middle of the night. The clean-up began in the early hours of the morning as the tail of the cyclone was still over the capital, Nuku'alofa, with soldiers clearing roads from around 1:30 a.m.
“We needed the roads cleared firstly so that we could get people that needed to get medical attention, and so that our assessment teams could get out,” Kenna told Reuters in a telephone interview. He estimated around 40 percent of houses in the capital, which is home to around 24,500 people, had suffered some damage, with roofs blown off and flooding. There was no electricity, after power infrastructure that was shut down in advance of the storm suffered damage and communications to many parts of the country were cut. Photos posted on social media showed extensive flooding and downed power lines, as well as a destroyed Parliament House in the capital. The storm is now tracking towards Fiji's southern islands.